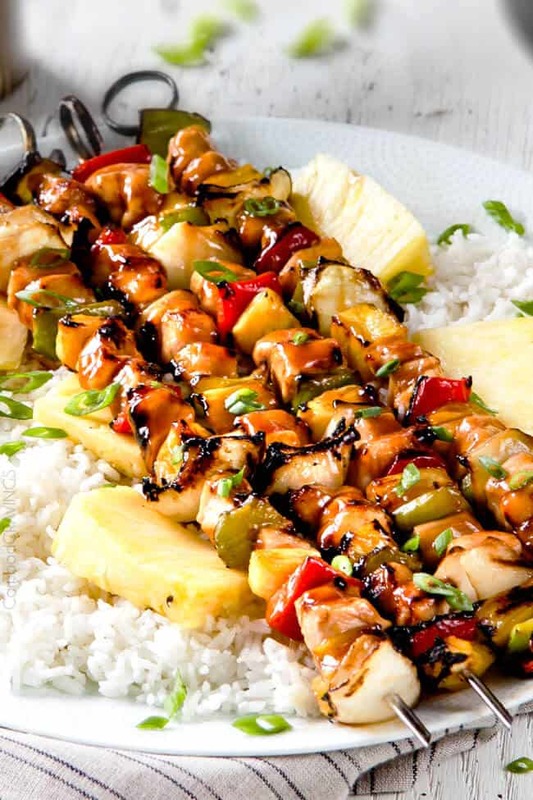 Hawaiian Chicken Kabobs threaded with juicy, flavorful chicken, caramelized pineapple and crunchy veggies then slathered with sweet and tangy Hawaiian Sauce that is out of this world! These Chicken Kabobs need to make it to you “Must Make List” now! 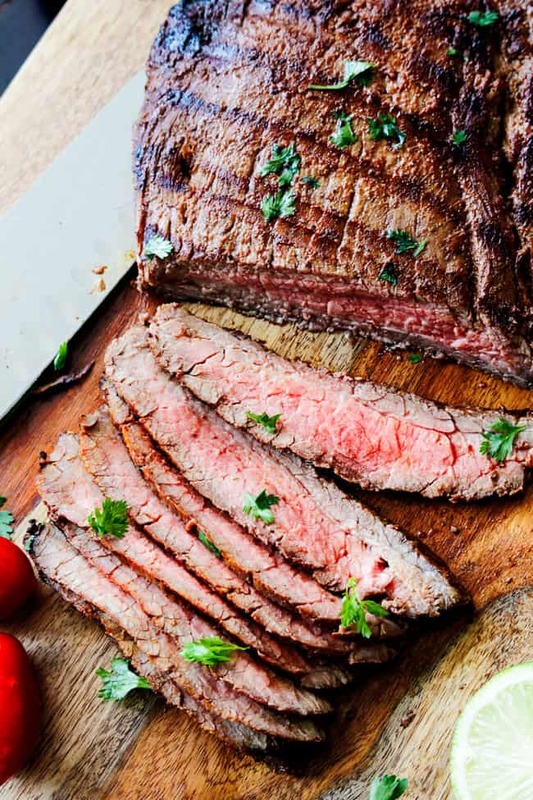 They are so tantalizing delicious, I’ve included instructions for both grilling and broiling so you can make them year round. 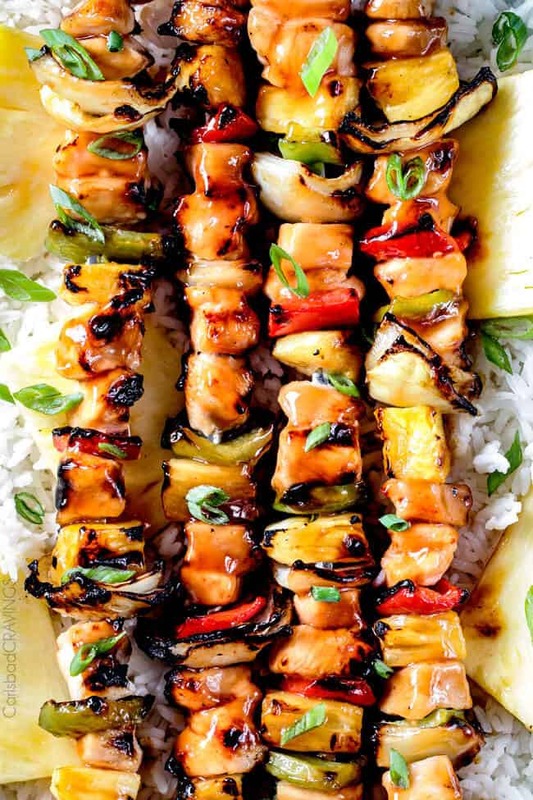 These sizzling chicken kabobs are wonderfully easy to make with a marinade that doubles as the glaze but deliver a huge explosion of flavor in each paradisaical bite. These Hawaiian Chicken Kabobs were actually inspired by my Baked Sweet and Sour Chicken recipe. With hundreds of positive reviews, many saying it is the “best sweet and sour chicken ever” I knew that with just a few adjustments, that sweet and sour sauce would lend itself beautifully to sweet and tangy Hawaiian Sauce. And I was right. Patrick devoured 6 Hawaiian Chicken Kabobs in one sitting and I was transported to sweet and tangy island perfection. Chicken Kabobs are pretty straight forward, but there are a few tips and tricks. Skewers. You can use metal or wood skewers but just take care you soak your wood skewers for at least 30 minutes otherwise they can catch fire! For this chicken kabob recipe, I recommend soaking your skewers when you start marinating your chicken. Chopping: Cut your chicken into 1 1/2 inch cubes in order to keep them juicy. Avoid cutting the chicken too small or it can easily overcook. Try and chop the chicken roughly the same size so they cook evenly. Marinate Chicken: The difference between a great chicken kabob and an okay chicken kabob is marinating. Marinating not only tenderizes the chicken but helps it stay juicy and moist while cooking and infuses it with flavor all at the same time. The best part about these Hawaiian Chicken Kabobs is the glaze, so they are get a double dose of it both in the marinade that also doubles as the glaze. First, whisk together your sauce ingredients of pineapple juice, red wine vinegar, sugar, ketchup and soy sauce then divide out some to marinate your chicken and reserve the rest to glaze your chicken in when its done – double the explosion of flavor without double the work! 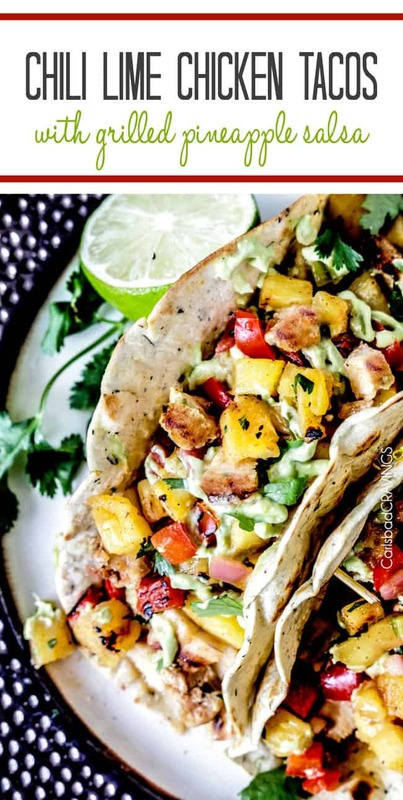 Marinate veggies and pineapple: We also want extra flavorful veggies and pineapple so we toss them with 2 tablespoons olive oil and 2 tablespoons marinade. This easy, simple step elevates these chicken kabobs to a whole new level by adding moisture, flavor and helps keep them from sticking to the grill – winning! Thread chicken kabobs: Thread the chicken, fresh pineapple, peppers and onions onto your in alternating fashion. 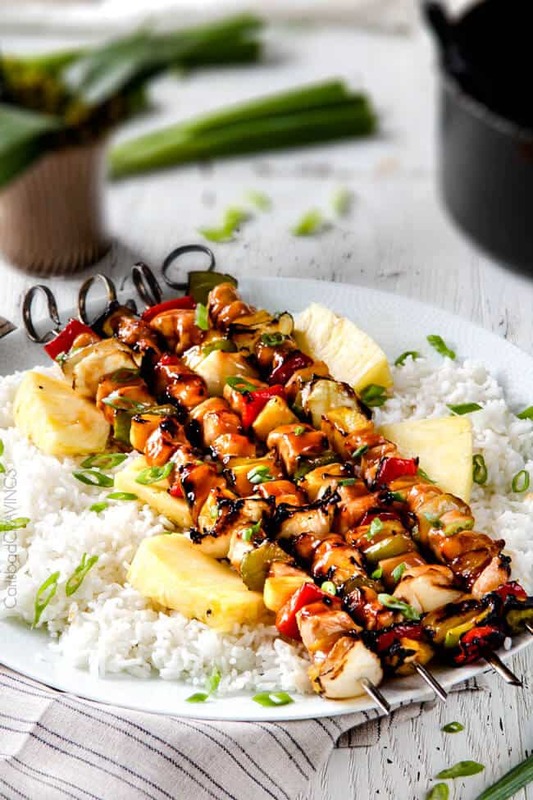 If you don’t want to worry about alternating the ingredients, you can make all chicken skewers, all pineapple skewers, all bell pepper skewers and all pineapple skewers. How much space? As far as spacing, there are two schools of thought. Some like to leave a little space in between the items so heat can circulate evenly while they cook. Others, me included, like to pack everything pretty close together – not smashed together, but touching. With the cubes this close, the kabobs will take longer to cook because the heat isn’t reaching all sides of the food at once which can prevent overcooking and promote juicier chicken kabobs. How long do I grill Chicken Kabobs? When you’re ready to grill, take care to grease the surface of the grill with vegetable oil using a grilling brush immediately before adding your kabobs – other wise they will stick. Heat grill to medium- high heat and make sure it is nice and hot – you should hear a “sizzle” when you add your chicken kebabs. Grill chicken kabobs for 12-15 minutes, turning occasionally until lightly charred and chicken is cooked through and you have juicy, tender, flavorful chicken, sweet, caramelized pineapple, crisp-tender peppers and charred onions. Bathe your finished chicken kabobs in your sweet and sour Hawaiian Sauce and devour. And drool. And hopefully you will be saying these are “the best sweet and tangy Hawaiian Chicken Kabobs” ever. Looking for more Kabob recipes? 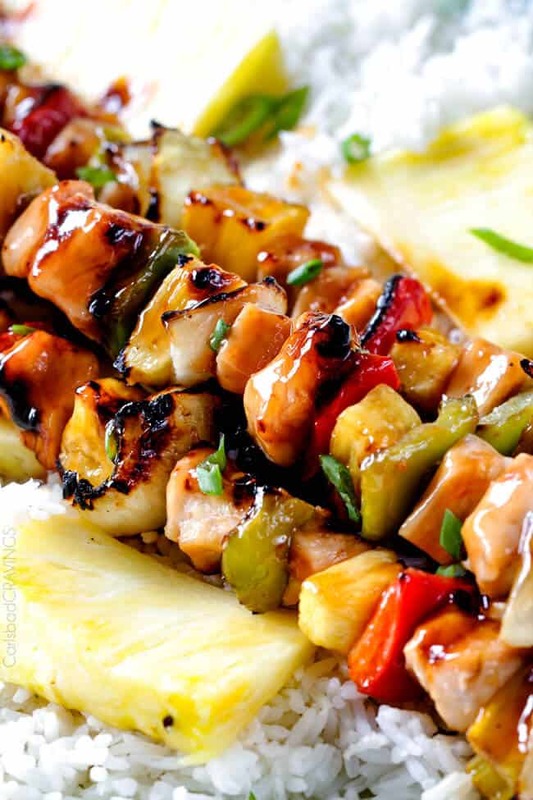 Want to try these Hawaiian Chicken Kabobs? Pin them to your CHICKEN or GRILL Board to SAVE for later! 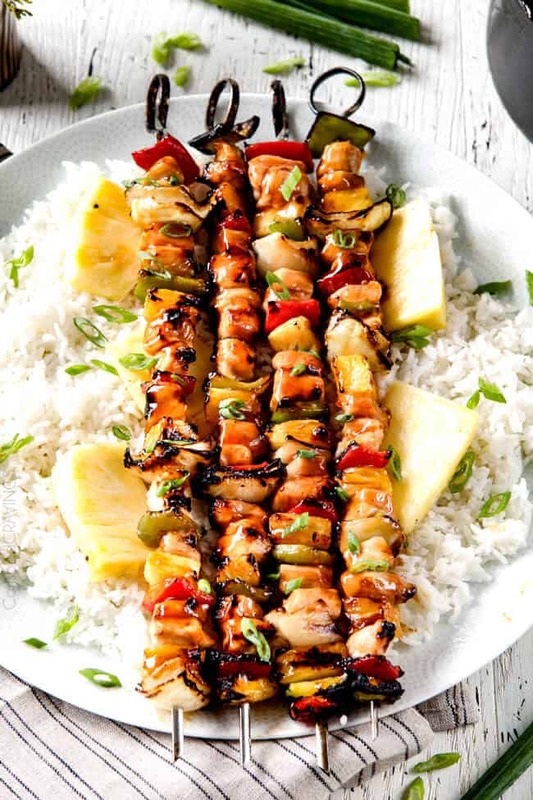 Hawaiian Chicken Kabobs threaded with juicy, flavorful chicken, caramelized pineapple and crispy veggies then slathered with sweet and tangy Hawaiian Sauce for the ultimate taste of tropical paradise! 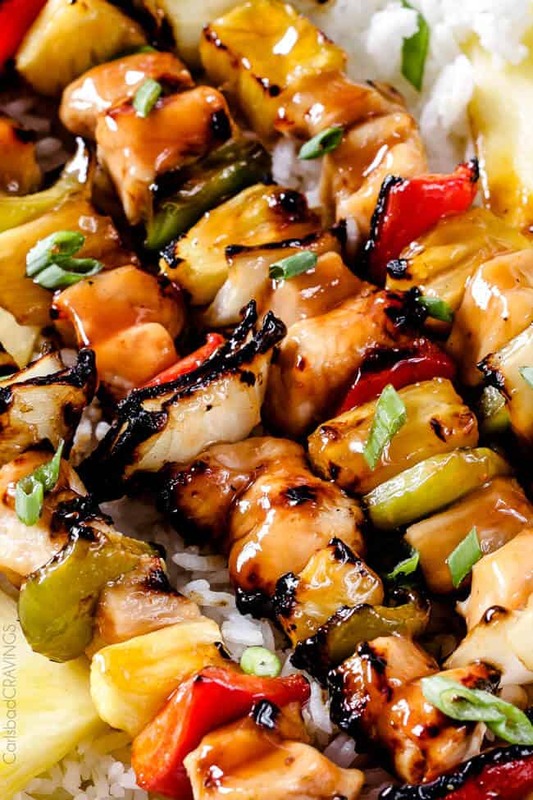 These sizzling chicken kabobs are wonderfully easy with a marinade that doubles as the glaze but deliver a huge explosion of flavor in each paradisaical bite. Note: If using wooden skewers, soak for at least 30 minutes in water before grilling or broiling. In a medium bowl, whisk Sweet and Tangy Marinade/Glaze ingredients together. Add 1/4 cup of this Marinade to a large freezer bag along with chicken and 3 tablespoons olive oil. Toss to evenly coat. Marinate in the refrigerator 1-4 hours. Add 2 tablespoons Marinade to a large bowl along with 2 tablespoons olive oil. Add pineapple and veggies and toss to coat. Refrigerate. Refrigerate remaining Glaze separately ("Reserved Glaze"). When ready to cook, drain marinade from chicken and thread chicken, peppers and onions onto skewers. Add reserved Sweet and Tangy Glaze to a small saucepan and whisk in 1 teaspoon cornstarch. Bring to a boil (either on grill or stovetop) and simmer until slightly thickened, about 5 minutes (it will continue to thicken upon standing). Set aside. TO GRILL: Generously grease grill and heat to medium-high heat. Grill chicken kabobs for approximately 12-15 minutes, rotating every couple minutes until nicely browned and slightly charred on each side and chicken is cooked through. Brush kabobs with Sweet and Tangy Glaze. TO OVEN BROIL: Line a baking sheet with aluminum foil and lightly spray with nonstick cooking spray. Add the chicken kabobs in a single layer and broil, turning every 5 minutes until cooked through, about 10- 15 minutes depending on thickness of chicken. Brush cooked chicken with Sweet and Tangy Glaze. ***DO NOT USE fresh pineapple juice as it contains the enzyme bromelain which will leave your chicken mushy. In CANNED pineapple, however, the bromelain is extracted so the juice will infuse your chicken with flavor without becoming mushy. Thank you so much Shiva, I hope you love them! I am obsessed with grilled pineapple! These kabobs look crazy delicious! New to your site. But growing up my grandma always cooked us sweet and sour hamburger and sweet and sour chicken. Since her passing Ive yet to make her recipe which I loved growing up. Why I have no idea. Maybe a memory of missing her . Although I tried this recipe tonight it was really good. Loved putting it on the smoker. Husband even says it was good and light and easy in the belly. Thanks I’m sure I’ll be back again to see what else you have. I should say it reminded me a lot of her recipe!! How fun to find a recipe that reminds you of your grandma and her recipes! So happy both you and your husband enjoyed it and it sounds delicious on the smoker! I hope you have fun exploring my site, have a wonderful week! It looks delicious…but would the glaze work with less sugar or a substitute of some kind? 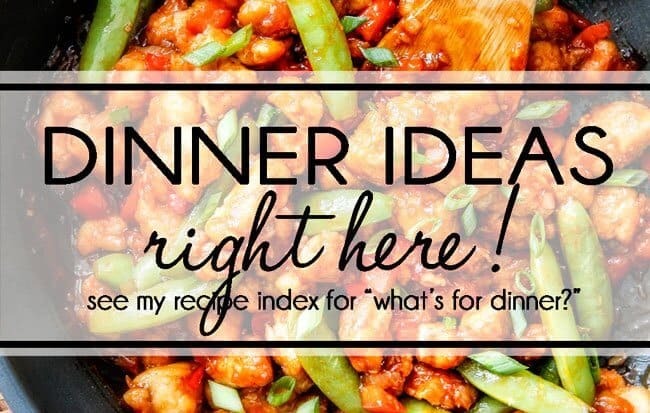 I can’t wait to try this and so many other recipes on your website! Great Job! Hi Valerie! You could possibly substitute honey but you definitely need some sort of sweetness to balance out the acidity. Thank you for visiting my site, I hope enjoy trying my recipes! Have you tried this with shrimp? Looking to do a chicken and shrimp dinner with separate kabobs for cooking time only. Wondered how this would be on shrimp as well over coconut rice. Hi Diane, sorry for my delayed response as I am just getting back from Lake Powell without any service. I haven’t tried this with shrimp, but I think it would be absolutely delicious! LOVE LOVE this recipe, made it for the second time last night this time with boneless skinless thighs ((cleaning out the freezer) both were delicious. Awesome Nikki! I am thrilled you love it so much! Thank you so much for making my day! The Sweet & Tangy kabob recipe is to die for. I’ve made these repeatedly over the last month and I’m doing them again tonight. Thank you so much Sherri, I’m thrilled you love it so much! Made these last nights get and they were delicious. The thickened glaze at the end is a must! Thank you for the recipe! You are so welcome Judy, so happy to hear it was a winner! And yes, the glaze, mmmmmm! Thank you for taking the time to comment! We’ve tried this recipe three times and absolutely loved it the first time. The next two times the chicken was very mushy and Chalky. At first we just thought it was the chicken but then after our third attempt and doing some google searching I believe we found the root cause of the issue. We were using fresh pineapple and fresh pinnapple juice in the marinate which appartently contains bromelain – an enzyme that digests proteins. The bromelain in cannned pinnapple is extracted in the canning process so you won’t have issues. Hi Jordan, that is fascinating and new to me – I really appreciate you sharing! I have only ever used canned pineapple juice so I never had the mush problem. I will change the recipe to indicate that. Thank you! I am doing a post football tailgate party. These look like they would fit what I am looking for but I will be serving them cold. How do you think they would be grilled, stored and served cold or room temperature? Hi Bernie, I would go with room temperature – should still taste good – not as good as warm but still good 🙂 Have fun! Can I prepare ahead of time and freeze these? Any suggestions or ideas? Hi Rachel, I haven’t personally done it but it this article (although using beef, same instructions apply though) walks you through it: http://www.thekitchn.com/recipe-freezer-to-grill-steak-and-vegetable-kebabs-236416 Hope that helps! No, I don’t recommend marinating this overnight – the chicken will get mushy. I really want to make Hawaiian salmon and this marinade sounds amazing. Do you think this marinade will work with salmon? How would you suggest I make a salmon version of this. Thanks in advance. I think it would be great on salmon but I wouldn’t marinate it longer than 30 minutes. Enjoy!